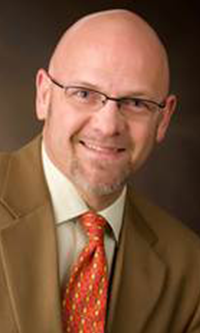 Gary is the Executive Director of the Lexington Parking Authority and is a Certified Administrator of Public Parking (CAPP) with a BA in Broadcasting from Eastern Kentucky University. Gary serves on the International Parking Institute Board of Directors and as Treasurer on the Executive Committee. In the past he co-chaired the IPI Parking Matters Committee and Professional Recognition Awards Committee. Gary has also served on the Mid-South Transportation & Parking Association board. Locally, Gary has served on many boards/committees including the High Street YMCA board, the Downtown Lexington Management District board and sits on the advisory committee for the Downtown Lexington Partnership. In 2000, Gary received Downtown Lexington Corporation’s “Outstanding Individual” Award. After 12 years of parking management experience with one of the nation's largest parking operators, Gary moved from private to public parking as ED of the LPA. Gary and his wife Melissa have two children and two grandchildren.